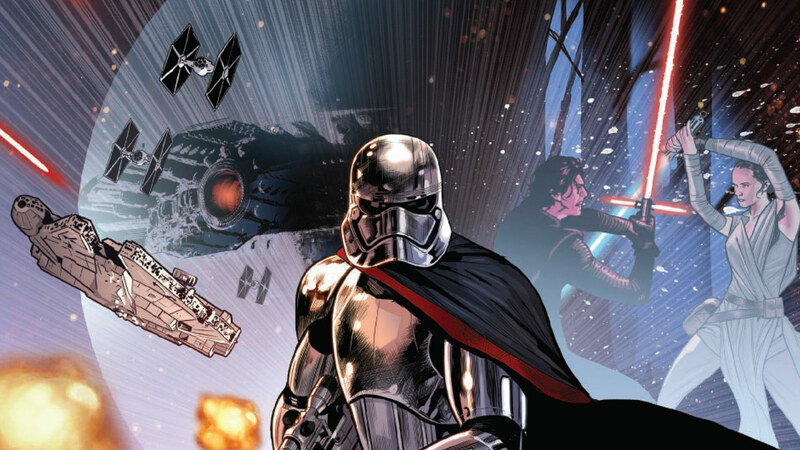 The writer of Marvel's highly-anticipated series discusses what comes next for the First Order captain. There’s no way that was the end of Captain Phasma. Characters as commanding and cool as the chrome-armored warrior don’t come around very often, so fans were relieved when it was confirmed that Phasma survived her trash-compactor sentence. 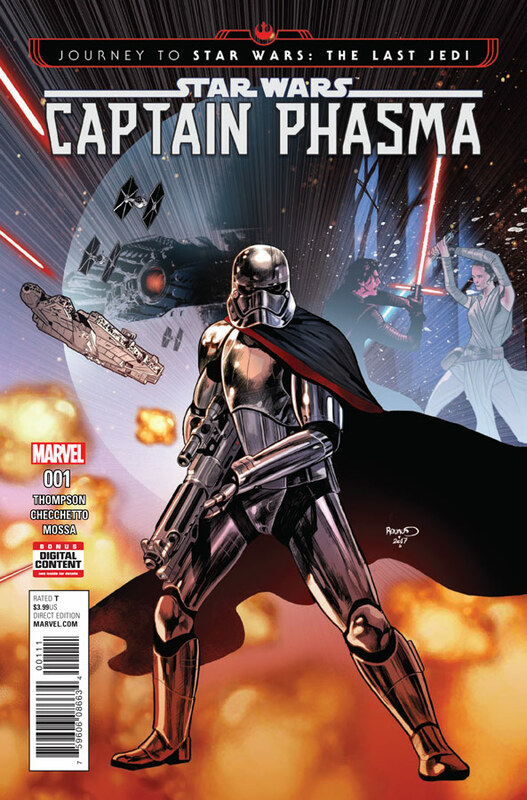 Now, Marvel’s four-issue Captain Phasma mini-series — part of the Journey to Star Wars: The Last Jedi publishing program — will pick up where The Force Awakens left off, and show us what Phasma did next. 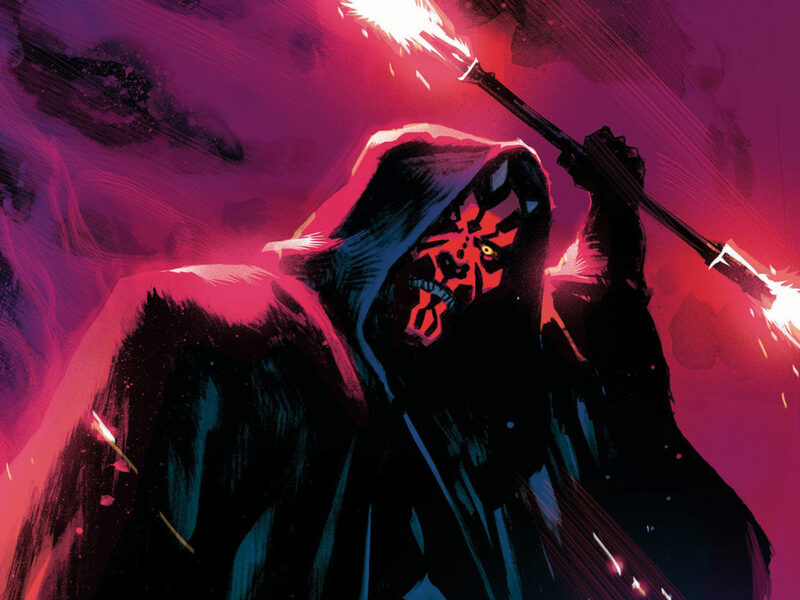 Marking today’s release of the highly-anticipated issue #1, StarWars.com caught up over e-mail with writer Kelly Thompson about her goals for the series, learning more about who the captain is beneath the armor, and how the First Order leader feels about trash compactors overall. StarWars.com: Phasma became an instant fan-favorite because she’s very visually powerful. But with this series, you’re in the unique position of getting to really shine a light on her as a character. What does that opportunity mean to you and what are you hoping to achieve? Kelly Thompson: Phasma is a character with huge potential and it was such an honor to be given the reigns to tell her story, or at least part of it. 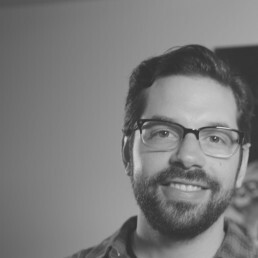 I’m so grateful that Lucasfilm and Marvel put their trust in me. My hope is simply to tell the best story I can, one that hopefully excites the fans and is true to the character. StarWars.com: As a viewer, what did you think of Phasma in The Force Awakens? Kelly Thompson: Like most, I was totally blown away by her presence on screen. She’s magnificent! And since I’m a huge fan of Gwendoline Christie, knowing she was inside that glorious armor, made me even more excited about what the future might hold for her. 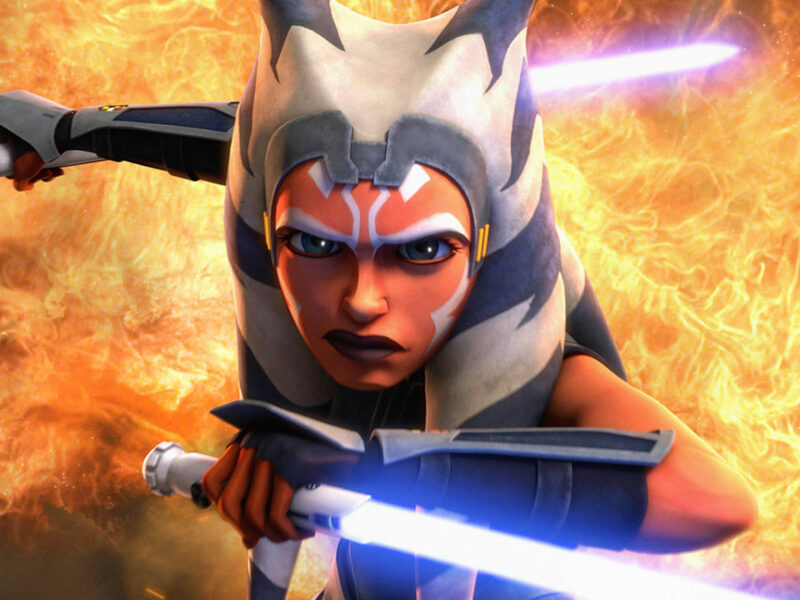 StarWars.com: Has your view of her changed as you’ve now written the character? Kelly Thompson: Definitely. If only because I have the benefit of more information. Star Wars is obviously an huge ensemble piece, so there’s only so much room for characters, even ones as magnetic as Phasma, so we don’t know much about her after that first film. 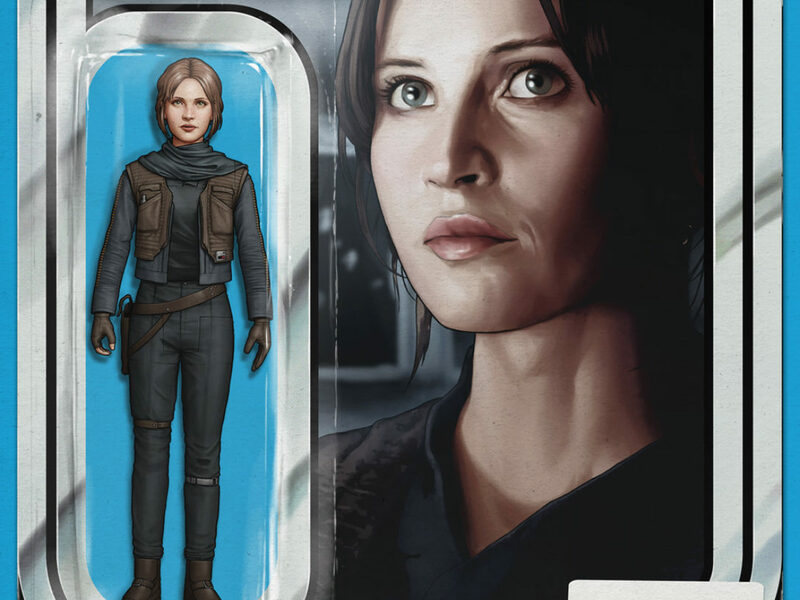 But I think that’s why it’s so great we’re using other mediums (our comic book and the Phasma novel) to more fully tell her story. Now that I know more about who she is, what she’s about, what drives her, it’s definitely changed my view of her, and informed how I approached writing her. Hopefully reading the comic will deepen fans’ views of her too. 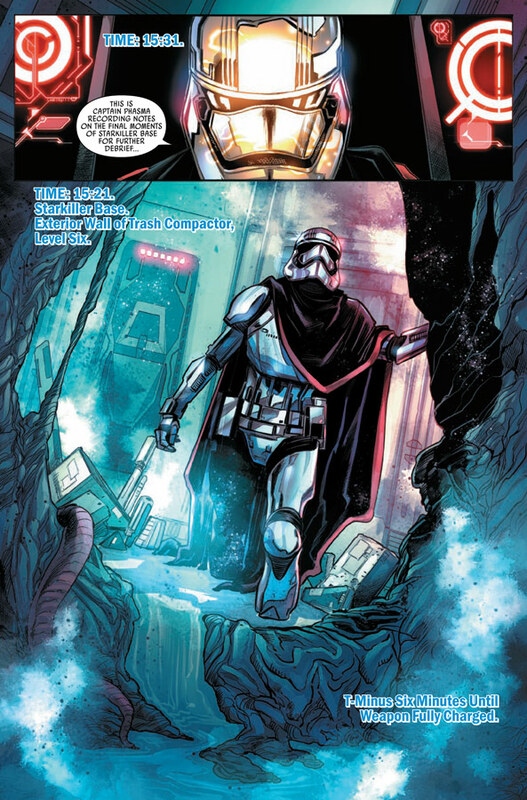 StarWars.com: Picking up after her escape from the trash compactor, how did you decide where you would want to take Phasma and the story? 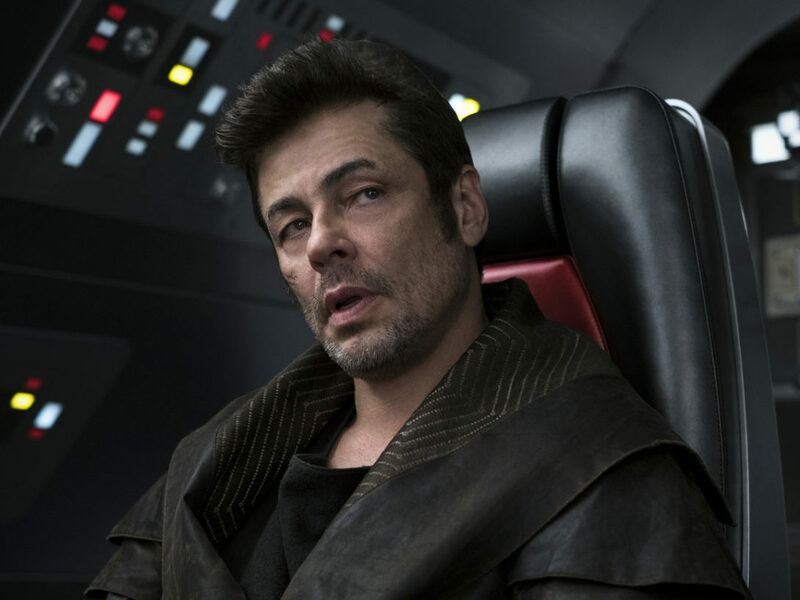 Kelly Thompson: Well, everything in this series is driven by the decisions Phasma made in The Force Awakens, and her trying to “clean up” after those decisions. Phasma is a character that is, above all, looking out for number one. So she will do whatever it takes to make sure she comes out alive, on top, and pristine. So as writer we just put a bunch of obstacles in her way to staying alive, staying on top, and staying pristine, and then we get to see her bulldoze her way through all of them. It’s glorious. 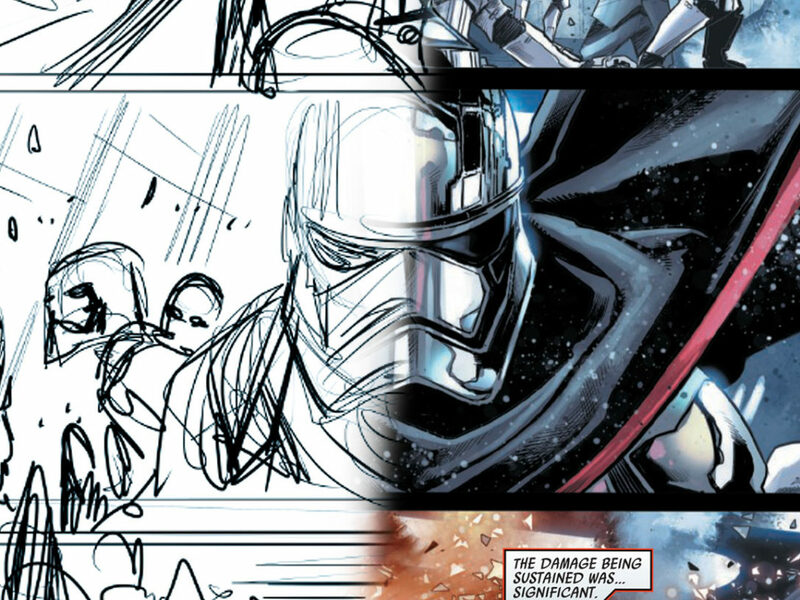 StarWars.com: Having read some preview pages, I thought it sounded like Phasma right from the beginning. You really captured her efficient, direct way of speaking. Was it difficult maintaining that tone, or did it come naturally? Kelly Thompson: Thank you! Phasma’s different than most characters I’ve written thus far in comics, who largely rely on a certain amount of humor or wit or charm to define their voice. 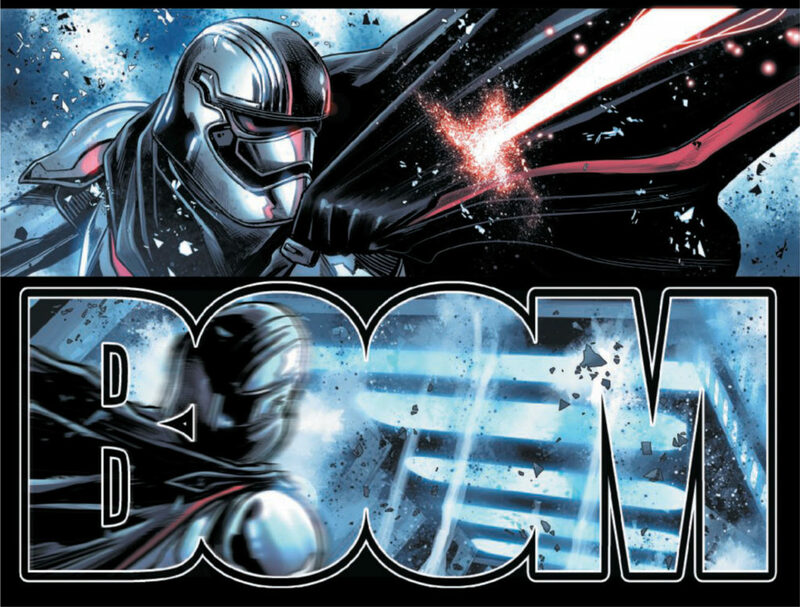 Phasma by contrast is extremely serious and laconic, and much like with Darth Vader, we didn’t want to be inside her head. So it was a challenge. Phasma is a character that keeps her own counsel, so all of this presented a challenge, plus her face is always covered! But thanks to having an amazing team in Marco Checchetto and Andres Mossa, I think we pulled it off and told a really badass story. 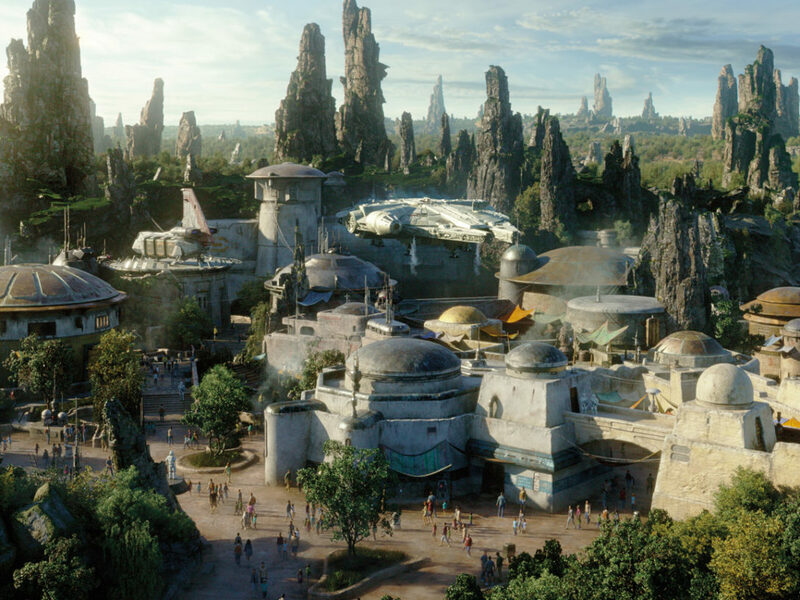 StarWars.com: When it came to crafting the story, what was the collaboration like with Lucasfilm? For Phasma, this is a pretty important time, and thus, an important story. Kelly Thompson: Lucasfilm was great. As you can imagine, telling a story that bridges the gap between two huge films, there were definite guidelines and restrictions. But once we got those guidelines laid out — and part of that was Lucasfilm letting me know more about Phasma, the backstory they were developing, and also some of what was in her future (all very exciting to get to hear as a fan!) — it ran really smoothly. Refining the pitch and outline for the series was a bit complicated, as expected. 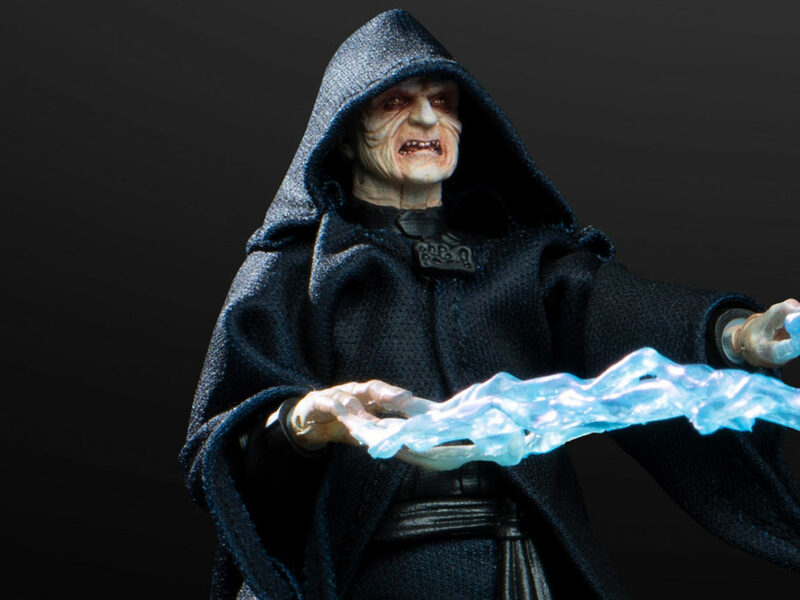 I mean, the Star Wars universe requires keeping your eyes on a lot of spinning plates, but once we’d settled on the basics, it was a pretty easy path forward. Everyone was so great. 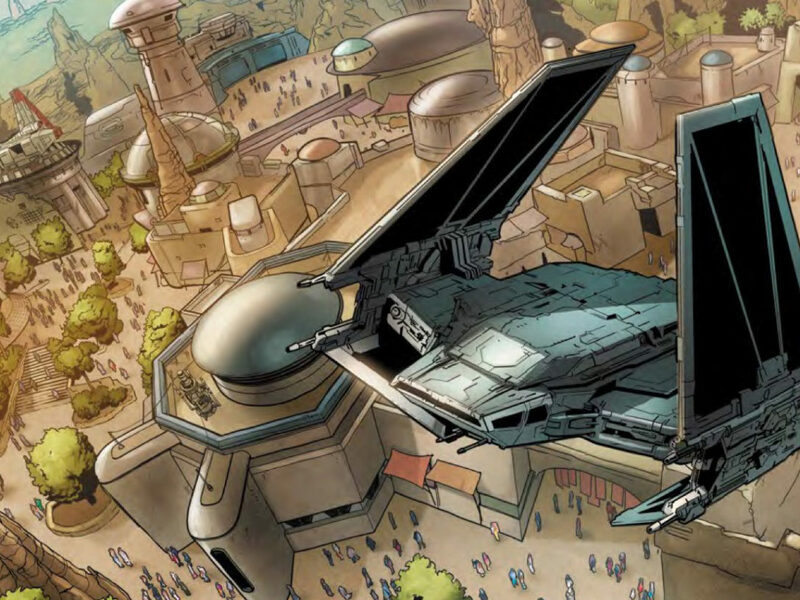 The biggest problem is trying not to get freaked out when you step outside yourself and have that moment realizing you’re writing a canon story for a major character in the Star Wars franchise. It’s easy to get paralyzed by how big it feels! StarWars.com: Without spoiling too much, what else can you tell us about what’s to come in the story and the challenges facing Phasma? Kelly Thompson: I think we’ve got a lot of classic Star Wars elements — planets, aliens, and monsters that are all trying to kill you. Evil plots and betrayals. Plus, a small role for a little droid that just made a big splash this past week! StarWars.com: Spoiler question: Will Phasma be steering well clear of trash compactors in your series? Kelly Thompson: >Haha< Yeah, I think it’s safe to say that Phasma now has a healthy disdain for trash compactors…and maybe just trash in general.